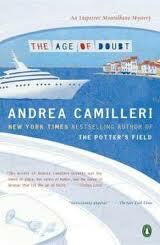 Still trying to get through the crime fiction of Michele Giutarri (which, I must confess is not so easy but I'm not a quitter) and finally catching up with things at home after my 3-week vacation, I had to pause to read Camilleri's latest offering in English, The Age of Doubt. Finishing it in one sitting, there is no doubt in my mind that Camilleri just keeps getting better and better. Each reading of this author's novels just solidifies how much I love this guy -- his writing, his series, and above all, his Inspector Montalbano. As with many of the recent books in the series, Age of Doubt begins with a dream -- in this one, Montalbano walks into the station to let Catarella know he'll be away on a surprise trip to visit Livia in Bocadesse. Catarella responds that Salvo can't go to Bocadesse because he died the day before. He's also told he can't investigate the case because "he's too personally involved." Even worse, Livia's not sure she can make it to the funeral. After analyzing his dream, it's back to work; he gets stuck in a major traffic jam caused by the washing away of the road. In the first of a long line of cars, he comes across a woman whose car is sticking out over the edge of the washed-out road and rescues her, taking her home where she dries off and where he calls Gallo to come and get them. She's not his type, so they spend the time waiting talking about her. It turns out she's Vanna Digiulio, who was on her way to the Harbor Office to meet her aunt's yacht, also named Vanna, at 10 a.m. Gallo arrives; the yacht, as it turns out, is not supposed to arrive until 4, so Vanna waits with a book at the police station until it's time to go the harbor. But it isn't long after she leaves there's a call that sends Montalbano to the harbor -- it seems a dead man has been found in a dinghy and that it had been picked up by the Vanna. When Montalbano goes to talk to the Vanna's captain, the yacht's owner, Livia Giovannini, complains about having to be stuck there and Salvo gives her a list of things she might want to do to pass the time. When she wonders about how to get around, Salvo suggests she use her niece's car, to which she replies "What niece?" "He hadn't done this sort of thing when he was sixteen, and now he was doing it at fifty-eight? Fifty-eight, Montalbà! Don't you forget it! Or was it perhaps the folly of old age that made him act this way?" The Age of Doubt continues Camilleri's tradition of a good mystery at the core of the novel, surrounded by the characters that are by now like old friends to regular Camilleri fans. There are a number of incredibly funny scenes here, including Mimi Augello's undercover work (giving "undercover" a whole new connotation here!) , but there are also very serious moments. In just one example, Salvo muses critically about the government's handling of the immigration issue as he witnesses a load of hopeful immigrants being rounded up by the authorities at the harbor. The book is very well paced, and as usual, Camilleri takes his readers to the Vigata shoreline with the sights, smells, and tastes of this small corner of Sicily. This is also one of the more poignant Montalbano stories I've read; Sartarelli's translation making it even more so . Someone give that man an award for his work!! I highly recommend this book to anyone who's followed Montalbano from the beginning -- although all of the series novels accentuate Montalbano as a person, this one goes beyond the norm. I loved it. Not reading this review! It isn't out yet in the UK but I've bookmarked it to come back to. As ever, I am looking forward to the next Camilleri, especially as the previous one, The Potter's Field, was a return to strength. 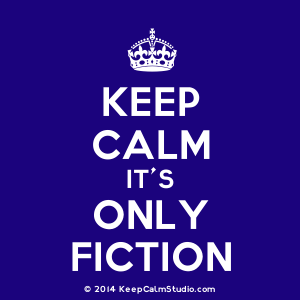 Okay, don't read it (yet). But it's REALLY REALLY good!!! Oh, gosh, there goes my resolution to put the credit card away and wait for the library to get this in stock. I've really been patient about this. However, since this is a favorite series of mine, and since I thought The Potter's Field superb, how can I sit idly by while the next Montalbano takes forever to reach the library shelve. I feel my resolve weakening. Book Depository here I come, a woman with no will power when it comes to the irresistable Salvo Montalbano. It's available in the US, Kathy!! I loved this book -- maybe less for the mystery and more for Montalbano and what he goes through here. And the humor is in spots laugh-out-loud -- it's like the old Camilleri has resurfaced.